Where do you start when writing your resume for the MSL role? I am asked almost daily for “tips” on writing resumes for the MSL role and how to overcome the challenge of not having existing MSL experience. The job search and interview process is complicated and impacted by many factors. It is a process, and there are no shortcuts. Your resume is the foundation your job search is built upon. It will have a direct impact on every aspect of your search. The views I share on resume writing, the job search and interview process are based on what I experience first-hand as I coach aspiring MSLs into their first jobs. Why am I so confident that a pro-active approach works? Because I see the results – beginning with writing the resume up to the point a job offer is accepted. In the last week three of my coaching clients landed their first MSL jobs. Each candidate was very different; one a M.D., one a Pharm.D. and one a Ph.D. Because each person is different, each resume will be different. Below are some general tips to consider when writing a resume for MSL jobs. First, understand the role, not just what the job description says. While the focus of the MSL role may be the same, every company uses their MSL teams slightly differently. Yes, you will build relationships with KOLs, but what is the point of those relationships? Second, look at your background objectively. What are your differentiators from other PhDs, MDs, PharmDs as they relate to the MSL role? Differentiators equate to your special features. Experience in areas like clinical research, managed care, protocol development, clinical education, and specific therapeutic expertise are some of the features that sought after. Next, look at the layout of your resume. Will the reader have to search to put the pieces together? If you make someone work to understand your background they will likely move on to the next resume. Keep it basic and straightforward. Complicated formats are distracting and confusing. My goal is to keep job history content to two pages if possible. Publications and presentations can be included on additional pages. There is no universal rule for how long a resume should be, but keep in mind too much detail is just as detrimental as a lack of detail. A well-developed resume will help you in the interview process. Initial interviews last 20 – 30 minutes. If you spend 15 of the 20 minutes trying to explain your background because your resume is confusing, you will not be able to answer the other questions they interviewer needs to ask. Categories: Career Coach, Coaching tips, Interview coaching, Interview preparation, Medical Device Sales, Medical Science Liaison, MSL career, News, Pharmaceutical Sales, Resume writing | Tags: Career coach, interview coaching, Job search guide, MSL interview, pharmaceutical, Pharmaceutical sales, Resume writing | Permalink. No MSL experience? No problem. Real tips for landing your first MSL job. Searching for that first MSL job can be a frustrating and disheartening experience. There are lots of jobs posted, but they all require MSL experience. How do you get MSL experience if no one hires entry level MSLs? As I job search coach, I have the unique advantage of knowing what types of people companies REALLY hire. Guess what, most MSL jobs are not filled by experienced MSLs. Actually, a very small percentage of MSL jobs are filled by experienced MSLs. That’s right, most MSL jobs are filled by candidates with NO MSL EXPERIENCE. I know this because I see the job offers my coaching clients receive. All companies train their MSLs. They are looking for core traits (scientifically, therapeutically, personality, confidence) to build from. What does it take to land that first MSL job? Insight, strategy, and initiative. INSIGHT – as a Ph.D., Pharm.D. or M.D. you have lots of significant experience, but not all of it is relevant to the MSL role. Build a resume that presents your features (experiences) that best relate to skills used in the MSL role. Having insight into the role and what companies need from their MSLs will help you accomplish this. STRATEGY – How are you going to tell your story? Are you going to be passive and wait for jobs to be posted before sending a resume? Develop a strategy to get noticed by key decision makers. Instead of focusing on the job search process, understand a company’s hiring process. Use a top-down approach to demonstrate your ability to reach key opinion leaders. INITIATIVE – You have your resume and job search strategy in place, now take the initiative and start marketing yourself to key decision makers. The more people that see your resume the more likely you will land an interview. Differentiate yourself by demonstrating initiative and sending your resume to a hiring manager. Categories: Career Coach, Coaching tips, Interview coaching, Interview preparation, Medical Science Liaison, MSL career, Resume writing | Tags: Career coach, interview coaching, job search, MSL interview, pharmaceutical, Resume writing | Permalink. Trying to land a medical sales job? The details matter. Competition for medical sales jobs is fierce. If you are trying to land a medical / pharmaceutical sales job, it is important to start by building a strong foundation. This includes creating a job search strategy. Your resume is the foundation for your job search. The strategy is how you approach the job search. When it comes to your job search, details matter! When was the last time you updated your resume? How confident are you that it is professional in appearance and contains relevant information. Remember, things change. What companies look for in sales reps today is not the same as what they looked for five years ago. The industry has changed dramatically and as a sales rep you should be evolving with it. Take the time to email your resume to yourself. Open it. How does it look on your computer screen? Now print it. If you are using a border around the entire page it most likely won’t print well. Remove the border. Is there shading or boxes that don’t show up well when printed? Change them. Once your resume is opened, evaluate what you see at a glance – it will be viewed for approximately 10 seconds before a reader moves on. Is the hiring manager going to see the information that is most important in that 10 seconds or are you over whelming them with details that won’t be read? Double check all of your information. I have found phone numbers and email addresses incorrect on a person’s resume. Is your email address professional? Are you still using your college Hotmail or AOL account? These not only date you, but are often routed directly to spam folders. When you set up your email, be sure the “outgoing name” (which is what a hiring manager will see) reflects your name professionally. Simple addresses like jane.doe@yahoo.com work best. Define a strategy. The more proactive you are the more likely your resume will be seen by a hiring manager. 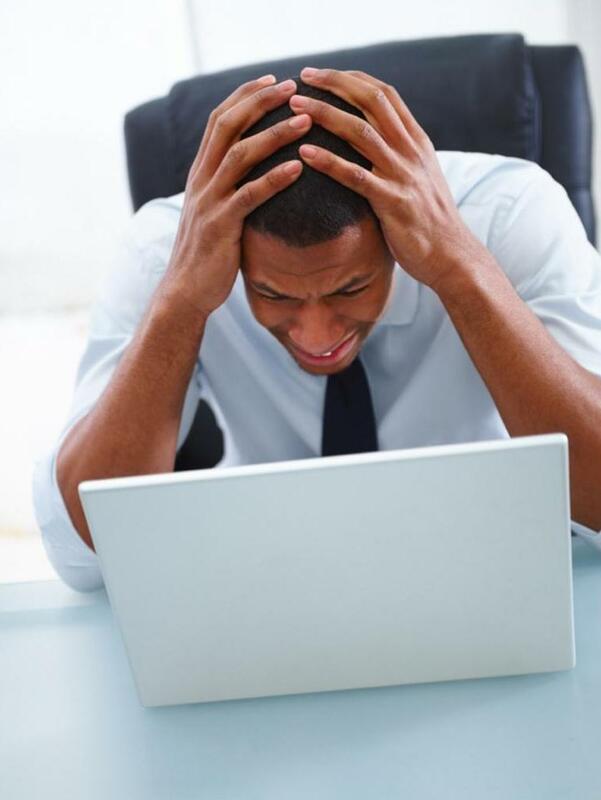 Less than 10 of every 500 resumes submitted online make it to a hiring manager’s desk. Set yourself apart by focusing on marketing yourself to companies and not just submitting to job postings. Over 40% of all jobs filled are never posted anywhere. Don’t be afraid to market yourself to a high level decision maker in a company. By doing so, you have just demonstrated your ability to get past the gatekeeper. That gets a hiring managers attention! Categories: Career Coach, Coaching tips, Interview coaching, Interview preparation, Medical Device Sales, Pharmaceutical Sales, Resume writing | Tags: breaking into medical sales, Career coach, interview coaching, job search, Job search guide, medical device, Medical sales, pharmaceutical, Pharmaceutical sales, Resume writing, sales | Permalink. 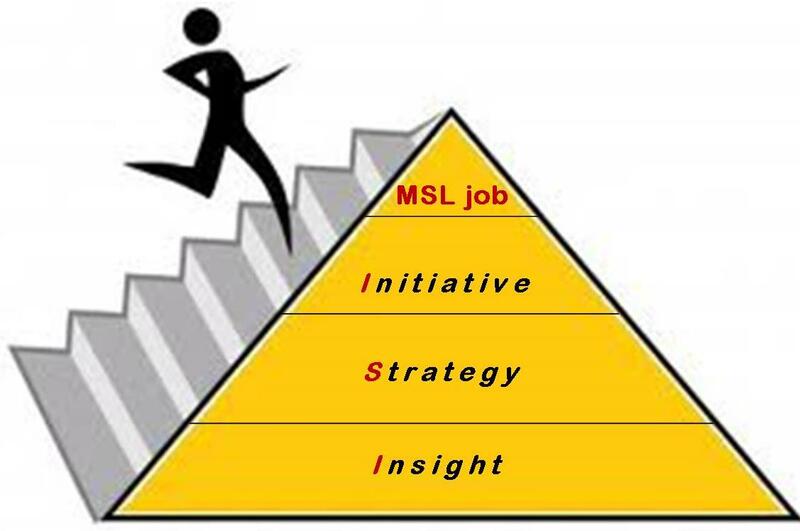 What is standing between you and your MSL career? Hint – it is not lack of MSL experience. How long have you been searching for a MSL job? You know the jobs are out there, but how do you land one if you have no MSL experience? For most MSL candidates, their biggest obstacle is not lack of experience, but the job search process they are using. In June alone, I had six MSL coaching clients accept jobs. None of these clients had previous MSL experience. The group consisted of three Ph.D. Postdoc Associates, one M.D., and two Ph.D.’s working in the industry as research scientist. July is turning out to be equally active with interviewing and hiring. Some facts to help you understand the process and what you can do differently to get interviews and job offers. All companies provide (and require every new hire to attend) comprehensive MSL training programs. Each company uses MSLs in a slightly different capacity. The role is the same, but actual focus areas can vary greatly. Over 50% of all jobs filled are never posted. The MSL interview process is a series of behaviorally based interviews requiring a solid understanding of how to answer questions using the STAR format. Academic CVs rarely highlight the areas that will be most relevant to the MSL role. A professional resume will not only help you get interviews, it will also simplify the interview process. How do you get interviews? The first step is to tell your “story” to a true decision maker. 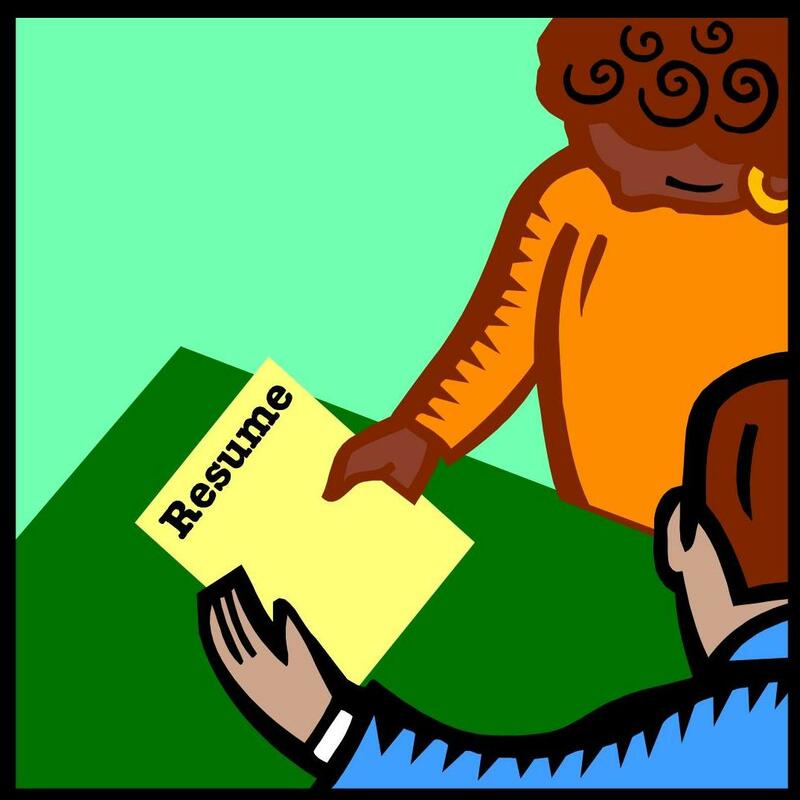 By applying on-line or sending resumes only to HR, you will always be evaluated against a job description. Since most job postings are going to list experience as a criteria, you will not make it past that first cut. High level decision makers are the people who understand the MSL role and how your background will fit with what they need. Categories: Career Coach, Interview coaching, Interview preparation, Medical Science Liaison, MSL career, Resume writing | Tags: Career coach, interview coaching, pharmaceutical, Resume writing | Permalink. Medical Sales resumes – are you telling the right story? I am frequently asked for “tips” on how to write a resume that will get medical sales interviews. Resume writing is complicated. Every person is different and the resume should reflect their experience on an individual level. Below are a few tips that should be factored in with every resume. Respect the reader’s time. If you make them work to figure out why they should interview you, they will go on to the next resume. Once your resume is opened, you have less than 12 seconds of the reader’s time before they decide to interview or not. Objectively evaluate your features. Don’t bombard the hiring manager with every feature you possess, instead focus on areas that relate to the job you are targeting. Being a Microsoft Office expert is great, but a hiring manager is more interested in how you sell. Do you identify potential clients? Negotiate contract terms? Break into new accounts? Convert business from competitors? Keep the content relevant so that the hiring manager will spend that 12 seconds reading information that will compel them to interview you. 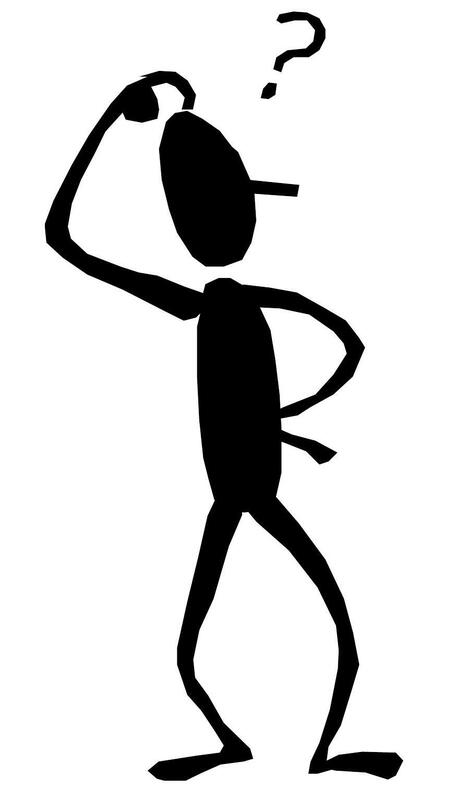 Avoid being gratuitous – don’t add words just because you think that is what a hiring manager wants to see. If you haven’t done something, don’t try to imply you have. If you add accomplishments, be sure they are real accomplishments. Being ranked in the top 50% of your sales force is not an accomplishment that is going to make a hiring manager see you as a top performer. Don’t over complicate your job history. A resume should not be a puzzle where a hiring manager has to put the pieces together. Your history should make sense and be easy to follow. I am not a fan of functional resumes. A well-developed chronological resume shows the path and skills developed that have gotten you to the place you are now. Questions about your resume or job search challenges? Ask Elizabeth, the medical sales job search specialist, resume writer, and interview coach. Categories: Career Coach, Coaching tips, Interview coaching, Interview preparation, Medical Device Sales, News, Pharmaceutical Sales, Resume writing | Tags: breaking into medical sales, Career coach, interview coaching, job search, Job search guide, medical device, Medical sales, pharmaceutical, Pharmaceutical sales, Resume writing, sales | Permalink. What companies hire Medical Science Liaisons with no experience? Have you found yourself scratching your head trying to figure out which companies hire MSLs with no previous MSL experience? Landing that first MSL job can feel like a daunting challenge, especially in today’s highly competitive job market. There is good news though. 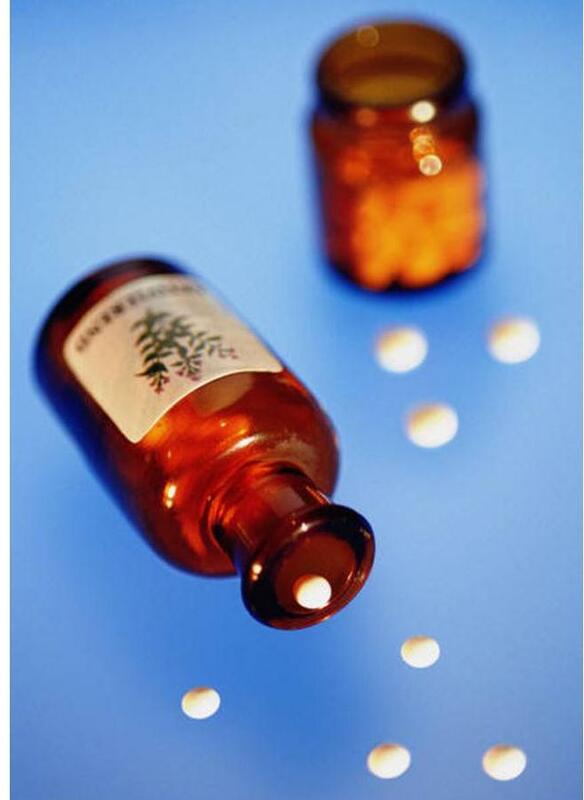 Almost every pharmaceutical company will hire MSLs with no existing experience. That said there are always specific jobs that require certain backgrounds and experience. As a job search coach, I have yet to find a single company that will not hire new MSLs. All companies have extensive training programs that even experienced MSLs go through. It is important to target key hiring managers directly. Their focus is on filling the needs of their division, not matching you against 10 bullet points listed in a job description. Before you approach hiring managers, take the time to ensure your resume is not only professional looking, but relays your strengths and background in ways that are relevant to the job you want. The more you understand what attributes a hiring manager looks for the better you are able to present your background in relevant terms. Don’t let the fact that there is not a job posted stop you from sending your resume to a hiring manager pro-actively. Remember, over 40% of all jobs filled are never posted! If you are serious about landing a MSL job take the time to build a good foundation (resume) and develop a strategy that will get you noticed. I have coached dozens of MSL candidates with no experience into MSL jobs. It can be done. Do you have questions about your job search or the MSL career? Ask Elizabeth, the MSL job search specialist, resume writer, and interview coach. Categories: Career Coach, Interview coaching, Interview preparation, Medical Science Liaison, Pharmaceutical Sales, Resume writing | Tags: Career coach, interview coaching, job search, Job search guide, MSL interview, pharmaceutical, Resume writing | Permalink. Who hires medical reps with no experience? Have you found yourself scratching your head trying to figure out which companies hire medical / pharmaceutical sales reps with no previous medical sales experience? Landing that first medical sales job can feel like a daunting challenge, especially in today’s highly competitive job market. If your strategy is to respond only to job postings, you are fighting an uphill battle because almost all postings will require some level of experience. In reality, almost every company will hire a sales rep with no previous medical / pharmaceutical sales experience (there are always certain positions that require specific experience). Every company has structured training programs that each rep will go through (experienced or not). Finding companies most likely willing to hire someone with your background is the key to a successful job search. Once you find the right companies to target, it is crucial that you get your resume into the hands of a high level hiring manager. Their focus is on supporting the needs of the sales organization, not matching you against 10 bullet points listed in a job description. Before you approach hiring managers, take the time to ensure your resume is not only professional looking, but relays your strengths and background in ways that are relevant to the job you want. The more you understand what attributes a hiring manager looks for the better you are able to present your background in relevant terms. Don’t let the fact that there is not a job posted stop you from sending your resume to a hiring manager pro-actively. Remember, over 40% of all jobs filled are never posted! If you are serious about landing a medical sales job take the time to build a good foundation (resume) and develop a strategy that will get you noticed. I have coached 100s of people with no existing medical sales experience into medical sales jobs. It can be done. Learn more about how to market yourself in my easy to understand job search guidebook for medical sales professionals. Everything you need to know to conduct a more effective job search is laid out with easy to read illustrated instructions in “Breaking into Medical Sales – your Guide to Success”. Available only through my website – http://www.clinicalstrategist.com/breaking-into-medical-sales.html. Do you have questions about your job search or the medical / pharmaceutical industry? Ask Elizabeth, the medical sales job search specialist, resume writer, and interview coach.